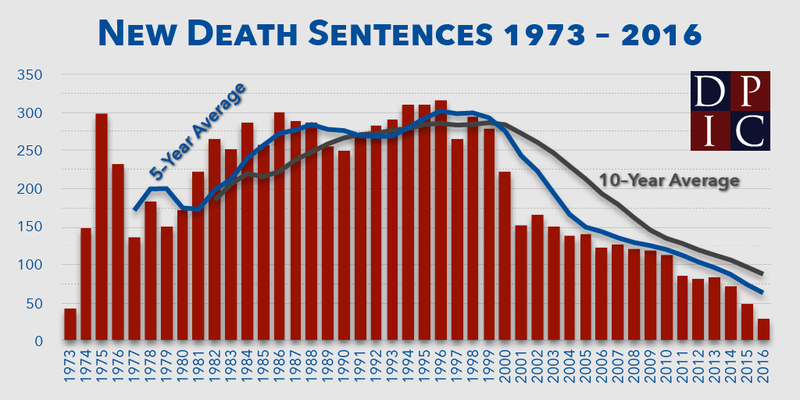 Six months into 2016, the pace of executions in the United States remains at the same level as the 24-year low set in 2015. Fourteen executions have been carried out so far this year in five states - Texas (6), Georgia (5), and one each in Alabama, Florida, and Missouri - while 23 other scheduled executions have been halted by stays or reprieves. States carried out 28 executions in 2015. Eight executions are currently scheduled for the second half of the year, with seven in Texas and one in Georgia. Death penalty cases in two states that have carried out executions this year - Alabama and Florida - as well as in Delaware, are in limbo as state courts decide the ramifications of the U.S. Supreme Court decision in Hurst v. Florida, which struck down Florida's death sentencing scheme. The Supreme Court also ruled in favor of death row prisoners in two other major cases this spring. The Court overturned the Georgia conviction of Timothy Foster because prosecutors unconstitutionally excluded blacks from the jury, and it directed state courts in Alabama and Mississippi to reconsider capital convictions in two other cases in which similar abuses have been alleged. 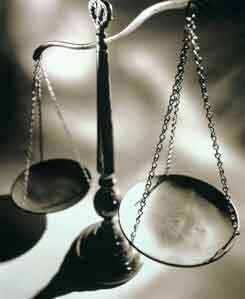 The Court also ordered a new appeal for Terry Williams in Pennsylvania because of judicial bias in his earlier appeal. 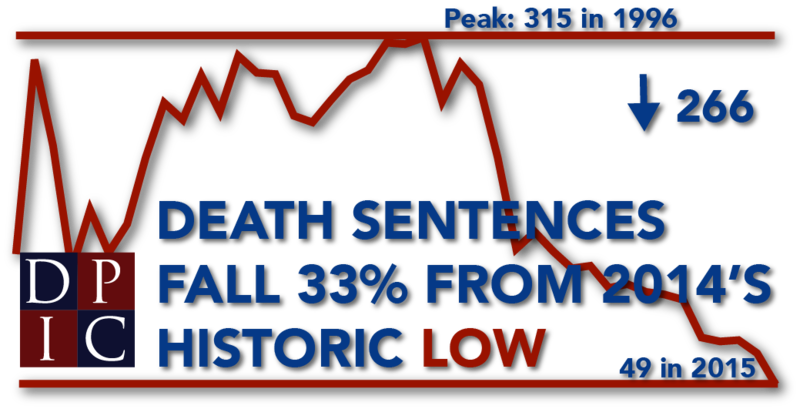 Executions also have been affected by the ongoing controversy concerning lethal injection. In May, Pfizer joined numerous other pharmaceutical companies in implementing sales and distribution restrictions to prevent states from using its products in executions. Two states - Louisiana and Arizona - have recently announced that they are unable to obtain lethal injection drugs and Arkansas' supply of the lethal injection drug midazolam expired on June 30. In a divided 4-3 decision, the Ohio Supreme Court on March 16 authorized the state to try for a second time to execute death row inmate Romell Broom (pictured, after the state's failed first attempt to execute him). The court majority held that a second execution attempt would not violate constitutional protections against twice placing a defendant in jeopardy of life, nor constitute cruel and unusual punishment. Ohio first tried to execute Broom on September 15, 2009, but the attempt was called off after two hours of unsuccessful efforts by executioners to establish a viable IV line. Despite attempting to insert the IV in 18 different sites on Broom's arms and legs, prison personnel failed to find a suitable vein, and in one case instead struck bone. Justice Judith Lanzinger, writing for the majority, said the event was not a failed execution because setting the IV line was only a "preliminary step" to an execution and the execution itself "commences when the lethal drug enters the IV line." The majority reasoned that "because the attempt did not proceed to the point of injection of a lethal drug into the IV line, jeopardy never attached." The court denied Broom an evidentiary hearing on his claim that a second execution attempt would constitute cruel and unsual punishment, assuming that prison personnel would this time adhere to the state's execution protocol. It wrote: "Strict compliance with the protocol will ensure that executions are carried out in a constitutional manner and can also prevent or reveal an inmate’s attempt to interfere with the execution process. We simply are unable to conclude that Broom has established that the state in carrying out a second attempt is likely to violate its protocol and cause severe pain." Justice Judith French dissented, saying, "The majority’s decision to deny Romell Broom an evidentiary hearing on his Eighth Amendment claim is wrong on the law, wrong on the facts, and inconsistent in its reasoning. If the state cannot explain why the Broom execution went wrong, then the state cannot guarantee that the outcome will be different next time." In a separate dissent, Justice William O'Neill wrote, "Any fair reading of the record of the first execution attempt shows that Broom was actually tortured the first time. Now we embark on the task of doing it again." Dr. Jon Groner, who examined Broom shortly after the 2009 botched execution, described the attempts at accessing Broom's veins as, "somewhere between malpractice and assault." Broom's attorneys said they intend to seek further review in other courts.